current editions of Emphasis Art. To understand Dr. Clements's influence on the world of art and art education, one need only speak with the many art teachers throughout the country who speak of him with reverence and who don't hesitate for a moment to provide their students' works for use in his books. Frank Wachowiak (1913ndash;1998) was a master teacher and artist whose approach to teaching art to children is recognized throughout the field. Born in Wisconsin, he received his degrees from the University of Iowa where he subsequently taught until moving to the University of Georgia in 1967. For 50 years his passion for a life in art was evident as he worked in the happy, charged environment of children searching, discovering, and creating through art.As he taught and studied children's art all over the world (particularly while at the University of Iowa Lab School and the University of Georgia Children's Art Classes), Dr.Wachowiak found that it was easy to stay young at heart. 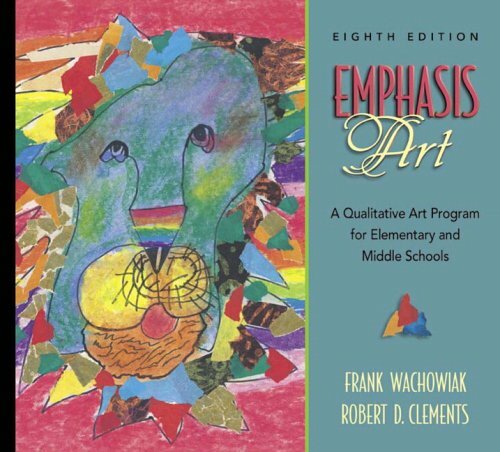 Since his passing in 1998, every edition of Emphasis Art, including this one, has built off of his inspiring words and clear technical directions, as well as his model of including beautiful examples of children's art.